Antonio Ramirez threw a terrific Valentine’s Day party. A DJ mixed Los Tigres Del Norte into Katy Perry into Luis Fonsi, horn trills into sultry polyrhythms. The bass notes rumbled the ear drums of kids who clutched San Valentin teddy bears and stood too close to subwoofers. Adults balanced margarita-laced ice cubes inside their rocks glasses as they bumped hips with friends on beat. Servers busted moves between deliveries of molcajete mixto and cerveza familiar. At Tlaloc El Mexicano, the Athens, Georgia, restaurant owned by my friend Antonio, something he calls buenas vibras warmed the chilly Sunday evening. 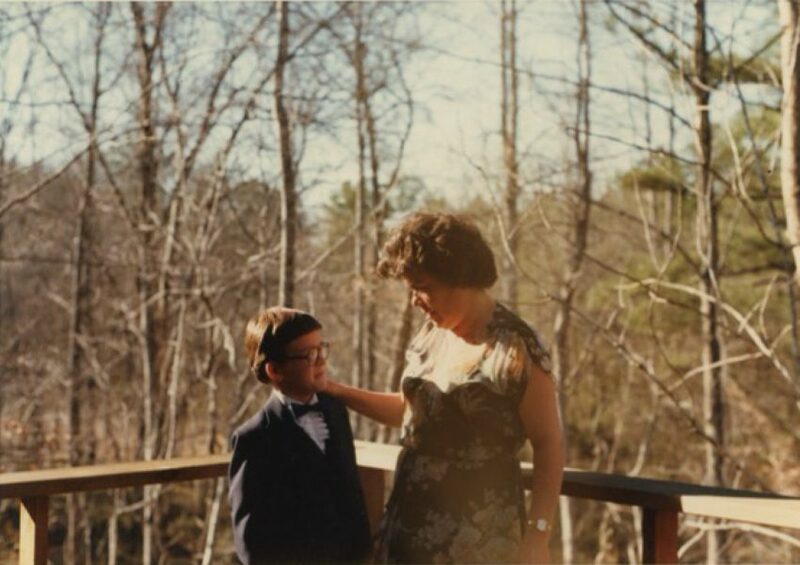 It was two days shy of the true sweetheart holiday. Good vibes, the core of the Tlaloc ethos, brought my family and our friends, brothers Beto and Noe Mendoza, out to celebrate love and friendship—amor y amistad, the spirit of el Día de San Valentin. Antonio expected the broad tent in front of the restaurant to attract a large crowd, despite the cool weather. People hadn’t turned out as hoped. But Antonio, a short, sturdy man in his fifties with a gray-flecked mustache who dependably wears polo shirts, welcomed those who came. The Tlaloc family, right to left: Antonio Ramirez, Florinda Arroyo, their daughter Karen Ramirez and her son, Matteo. We made the most of the extra space. As immigrant rights activists, we vented anxieties about nativist ideologies that constantly made headlines. Since the election, my activist friends and I had scrambled to help Athens’ migrant community respond to uncertainty as the new federal administration composed a flurry of memos on immigration enforcement. In Athens, as across the country, advocates separated rumor from fact and determined next steps. Tlaloc had become a de facto headquarters for local action planning, a space where a white Canadian resident alien like myself learned the intricacies of the immigrant rights movement from veterans like Beto and Noe. We talked tactics while Antonio served us pupusas during working lunches. Tonight, Tlaloc was a place to unwind. Beto, Noe, and I, a trio of inelegant dancers, took turns spinning my daughter in pirouettes. We danced hard and ate too much. Then our spiritual barricade cracked. A young white woman wearing a make america great again t-shirt walked through the party and took a seat with her boyfriend at an indoor table. We shouldn’t have been shocked. Tlaloc attracts diners of all sorts, from college students to poultry workers. But tonight, this was supposed to be a safe space for the Latino community. Andre Gallant tells how one Latino Athens, GA, community came together in crisis. Smiles became side-eyes. Some of us gawked. The staff, all immigrants or children of immigrants from Mexico and Central America, couldn’t face them. Tlaloc’s servers refused to greet the table. The wounds of the previous November’s election were still raw. Antonio understood their concerns and took over. We watched him carry the couple’s smouldering fajitas across the dining room, and I posted to Facebook from my phone in a frustrated fit: “The audacity of the white girl wearing a Trump shirt who walks into a restaurant run by immigrants.” Antonio responded in a comment later that evening that, even though some people thought ill of immigrants like him, it was still his job to serve them. He welcomed everyone to Tlaloc. Buenas vibras for all. Antonio believed hospitality could change minds, but I fretted that the evening’s events foreshadowed a nasty year to come: beloved immigrant-owned restaurants, sources of nourishment and security for documented and undocumented alike, would become battlegrounds during a brazenly xenophobic presidency. If I was correct, how would restaurateurs like Antonio and his wife, Florinda Arroyo, respond? Did hospitality have its limits, or was there a point where small business owners would turn to activism? Four days after the Tlaloc party, immigrants across the nation stayed home from work, closed their stores, and kept their children out of school in a show of absence called Día Sin Inmigrantes. Word of the strike spread through social media and Spanish-language newspapers. In Athens, where people of Latin American descent account for ten percent of the population (a fair portion of which is believed to be undocumented), the protest occurred quietly. No walk-outs. No marches. Construction jobsites sat idle. On social media, public school teachers noted empty desks. Tiendas and taco stands remained dark well into the evening. in light of recent events and social media news, we’ve decided to stand behind and support our employees as it is thanks to them and their support that we are able to do business. therefore, we are closed today. we’re sorry for the inconvenience and ask for your understanding. 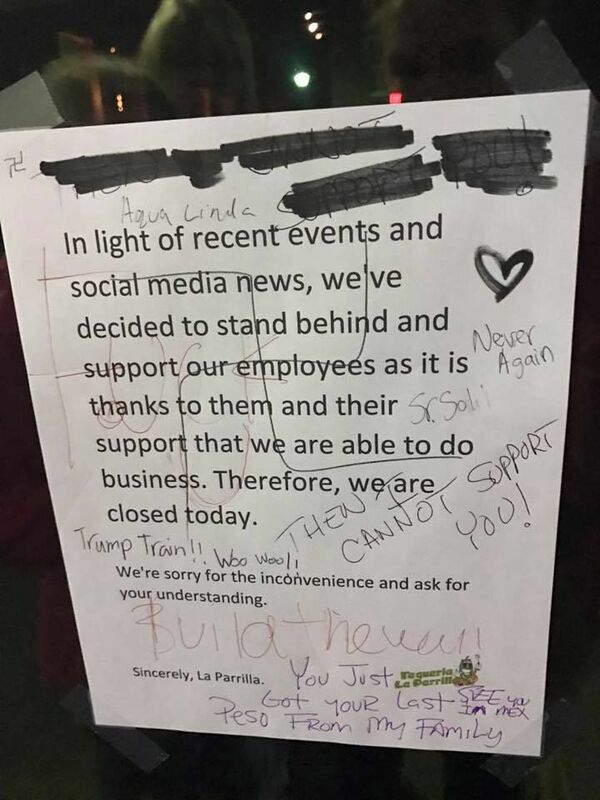 A similarly worded Facebook post immediately drew negative comments from patrons, including promises to never set foot in the establishment again. Haro shrugged them off. He advised his brother, Adrian, who runs their social media accounts, to unplug and let it go. Then the ire came. 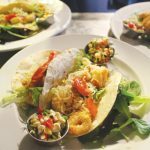 At La Parrilla’s spot in Watkinsville, a less diverse neighboring town to Athens, stymied diners marked up the paper message with their frustrations. you just got your last peso from my family. see you in mex. A photo of the sign circulated on social media. Soon after, Atlanta TV stations rang Haro’s phone incessantly. Local press called, too. He had no comment. He hated politics, and wished La Parrilla’s fifteen minutes of fame would tick away. Haro read hurtful Facebook comments by customers whom he recognized from their loyal patronage. The mutual respect between eater and cook had been lost, it seemed, and that saddened him. 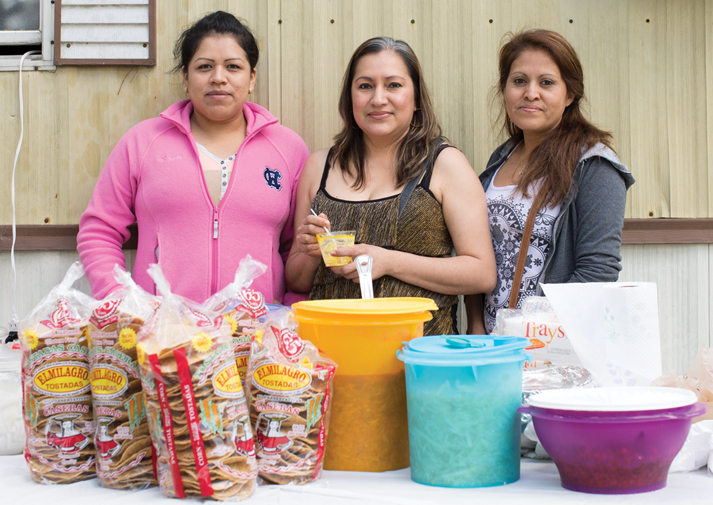 Read SFA’s take on why exploring immigrant foodways is important work. Beto monitored the situation and coordinated a response. He told Haro to expect an outpouring of love the next day. From lunch to dinner service that Friday, people delivered bouquets and cards to all locations. Musicians serenaded supporters who displayed pink hearts or posters in support of the restaurant and the immigrant community. A few folks left anti-Trump signs, but Haro threw them away. This wasn’t about the presidency. He cared about his customers and his employees. His job required him to please both. As another Día Sin Inmigrantes approached in May, Haro talked with his staff. Let’s care for the customers, he urged. We can donate sales to immigrant causes. Employees agreed. May Day 2017, el Día Internacional de los Trabajadores, dawned slate gray and drizzly. Local migrant support groups had scheduled a rally downtown that night, but poor weather would burn off well before start time. Discreetly, Beto and members of a group he coordinates called Dignidad Inmigrante en Athens encouraged shop owners and workers to stay home on May 1. People around the country took notice of Día Sin Inmigrantes, Beto argued, and he wanted this Athens-only rally to build on the momentum. His ask was more of a request for solidarity than a call to strike. On the day of the rally, Beto and I drove around Athens, visiting supermercados and restaurants to distribute last-minute handbills about the march and record who’d confirmed support. At each stop we interrupted lunch rushes and check-out transactions. Nobody had taken Beto’s advice. Beto suggested we head to Supermarket El Camino Real, a market and taqueria on the north side of town. “They have the best tortillas,” he advised. We drove into an empty parking lot. 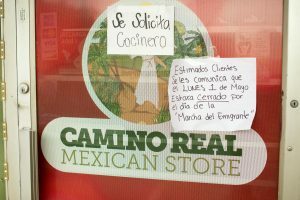 Beto read two signs taped on the door: one sought a cook; the other announced that Camino Real would be closed for the immigrant march. Beto smiled and gave a little shrug, as he does when pleasantly surprised. Later, Beto and I asked Camino Real owner Juan, who asked that his last name not be used, what prompted him to close. He’d received no blowback, as his clientele is almost entirely Latino. “I don’t have the words to express myself politically,” Juan said. His actions weren’t meant as protest in the revolutionary sense. 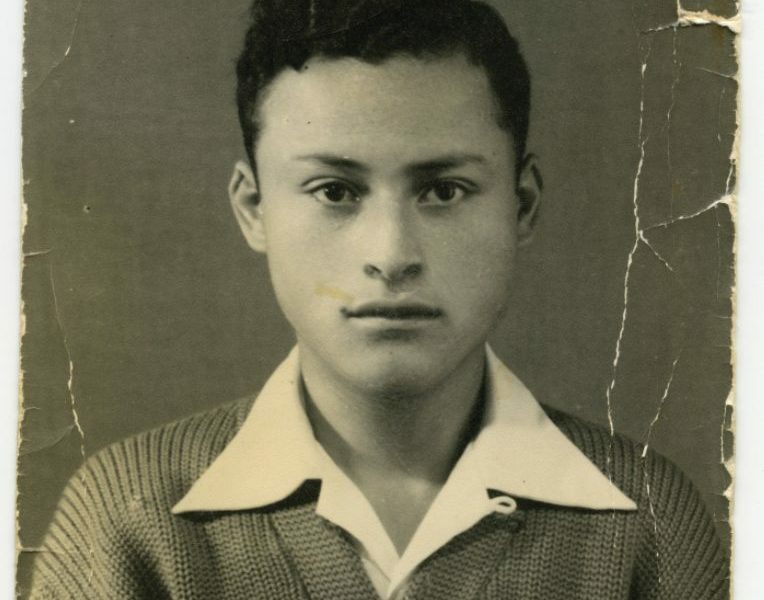 He wasn’t some Marxist like those he’d heard about growing up in Michoacán, a province in southwestern Mexico. He was a businessman expressing the economic power that he and other immigrant entrepreneurs possessed. 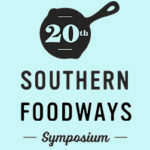 Learn more about El Sur Latino with this bibliography from our 20th Southern Foodways Symposium. 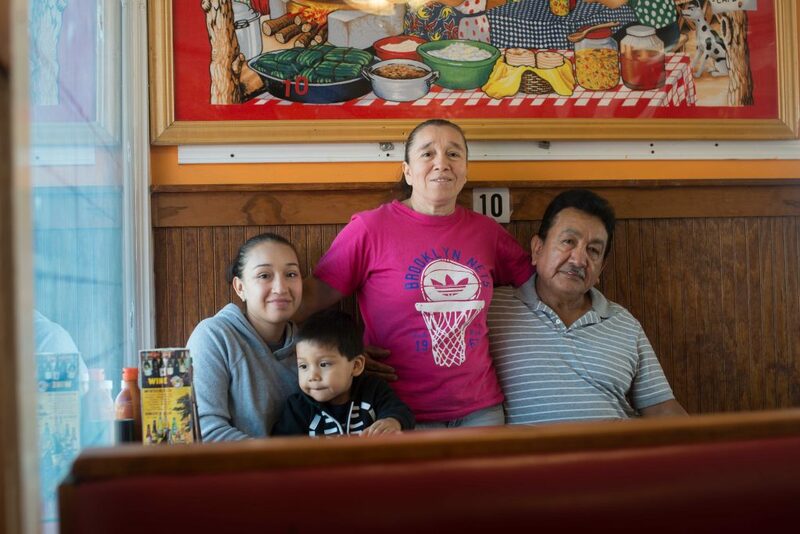 Public support of migrant causes, like Juan’s closure of Camino Real, isn’t easy for immigrant businesses, Beto noted, even if such efforts go unnoticed by non-immigrants. 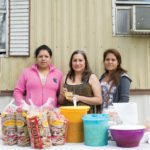 Undocumented entrepreneurs face unique hazards. They live on the edge everyday, Beto said. They could build or expand, but it could all disappear tomorrow. Activism could expose this frailty, so statements had to be well-timed and somewhat unintrusive. Protest couldn’t interfere with a customer’s needs. May Day evening in downtown Athens, the migrant community made the loud declarations that its restaurants couldn’t. Under a clear sky, roughly three hundred people snaked past churches, through the University of Georgia campus, then halted in front of the county courthouse. Beto brandished a bullhorn to lead chants for a crowd that drew immigrants from around north Georgia. Noe skated across the courthouse steps, jumping and sliding to a tempo set by his brother’s amplified call. Elders and DREAMers emerged from long work and school days to unfold homemade signs. no more deportations. don’t break up our families. we are threads in a quilt that should not be unstitched. Noe Mendoza, of Dignidad Inmigrante en Athens, leads chants during a May Day immigrant rights rally in 2017. Afterward, more than a dozen of us, three generations of immigrants and activists from a handful of countries, ate dinner at Tlaloc to celebrate a successful march. Sitting at outdoor picnic tables, we clinked icy mugs of beer and spooned chocolatey molés with rolled tortillas. Antonio walked outside with another tray of drinks. He set it down and threw an arm around Beto. Enjoy yourselves, Antonio said. Dinner was on him. But please, he smiled, leave a good tip. André Gallant is a journalist based in Athens, Georgia. His first book, The High Low Tide, will be published by the University of Georgia Press in fall 2018.